Provides a full range of Maritime Security (MARSEC) training, audit and compliance services in meeting U.S. Coast Guard standards for assessment and communication of potential terrorist risk of maritime facilities and vessels. Conduct Maritime Security Third Party Annual Audit in accordance with requirements of 33 CFR 105.415. 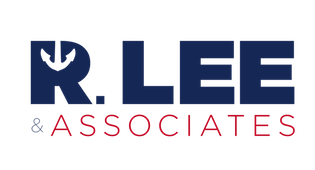 R. Lee & Associates (RLA) provides a security professional that meets the prerequisites of 33 CFR 105.415 (b)(4) who works closely with facility personnel to conduct a comprehensive FSP audit. Each audit includes onsite evaluation and inspection of facility security operations with respect to: security organization; personnel security training; facility security drill and exercise program; sensitive security information recordkeeping and documentation; security procedures for interfacing with vessels, including Declaration of Security protocols; security communications; security measures for access control, restricted areas, cargo handling, and delivery of stores and bunkers; security measures for monitoring; and security incident procedures. Audit will include a review and assessment of the Facility Plan, and facility security compliance will be verified by an RLA security professional. RLA will produce a post-audit summary conforming with NVIC 03-03 guidelines with a letter certifying the Facility Security Plan and Facility Program comply with applicable portions of code. During drills and exercise, random security records compliance reviews are conducted on site and recommendations given to maintain security recordkeeping in compliance with 33 CFR 105.225. RLA’s security professional will work closely with the Facility Security Officer to conduct a comprehensive onsite Security Vulnerability Assessment (SVA) using a methodology that meets the requirements of 33 CFR 105.305. SVA will include an assessment of the general layout of the facility including personnel, vehicle and rail access points, security barriers and lighting, secure and restricted areas in relation to the Transportation Worker Identification Credential (TWIC) Program, risks, and response capabilities and protocols for security incidents. The SVA analysis will include a report outlining vulnerabilities and provide recommendations and action plans to establish and prioritize security measures that should be included in the facility’s security plan. Based on vulnerabilities identified in the facility SVA, RLA will draft for the facility a comprehensive Facility Security Plan (FSP) designed to mitigate identified vulnerabilities that meet the requirements of 33 CFR 105, 49 CFR 172 Subpart I. RLA will draft an FSP in compliance with new requirements of the TWIC Program. The FSP will describe the facility’s security organization; personnel security training; facility security drill and exercise program; sensitive security information protection program, recordkeeping and documentation; security responses to changes in MARSEC levels; security procedures for interfacing with vessels, including Declaration of Security protocol, security communications, security systems and equipment maintenance; security measures for access control, restricted areas, cargo handling, and delivery of store and bunkers; security measures for monitoring; and security incident procedures. The FSP will include a completed Facility Vulnerability and Security Measures Summary, and will be submitted to the U.S. Coast Guard for approval. RLA will conduct three quarterly MARSEC drills and one annual MARSEC exercise for the calendar year that complies with the requirements of 33 CFR 105.220. A professional RLA security professional will plan and facilitate each onsite quarterly drill (one of which will be unannounced) and will include: an interactive operational security response event that will involve the Facility Security Officer (FSO), a portion of the facility security force, and facility operational personnel. Each drill will complement the previous drill scenarios and will include a pre-exercise safety briefing and post-exercise lessons learned briefing facilitated by RLA. The exercise will test security communications, notification procedures, and elements of security and HAZMAT response coordination and response source availability.